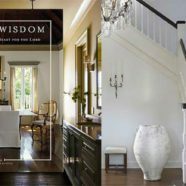 Yolanda (WiseDecor Creative Director): I just reread your book and shared your wisdom and have come away refreshed and challenged and thank you for your beautiful reflections. I particularly appreciate the prayers throughout your book and I of course loved all the gorgeous photos, rooms, wall decor, etc. And I loved reading your story and it woved in your design reflections. 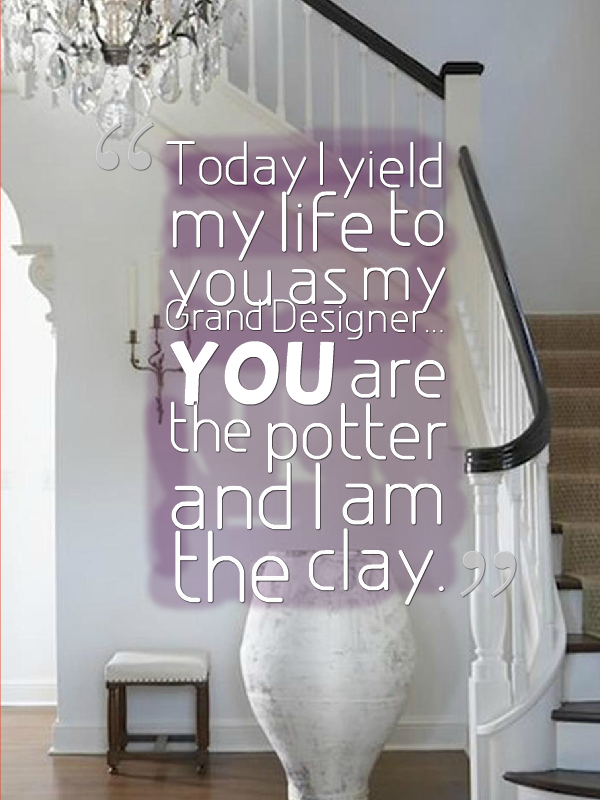 Can you tell us your story on how you became to be an interior designer? I love the book of “Ruth”. The Bible tells us she just “so happened” to be gleaning in the fields of Boaz. She just “so happened” to arrive in Bethlehem during the Barley harvest. And I think that is kind of how I look back at my life. “It just so happened.” As I was selling to first time home buyers in real estate, I would advise them on what they could do. I would show them houses for less than $30,000, which was all they could afford. This was back in the early eighties and I started telling them “what if you painted this or did that.” Simple things to create the home they wanted. I was doing HGTV before there was HGTV and selling homes, because of it! After that I moved on to corporate America, and I started creating newsletters. And they would come to me saying “would you select the new furnishings for this office, or our model”. I was always doing something creative. One day all when all the higher ups were on a golf tournament, the person right above me called me up into his office one Friday afternoon and fired me. I was devastated. But you know deep down inside I knew it was not the best fit for me. Something was bubbling. I was not where I was supposed to be. And I went home crying and so upset to a husband of one month. And he said “you know what Leah, I would like to pay for you to go back to college. I don’t think you realize how much design work you do, on the side and for friends and in every job that you’ve had. It comes naturally to you.” I think about the scripture Romans 8:28 where it tells us “God works everything together for our highest good and His highest glory”. So I went back to college and got a design degree. I think that I mentioned to you even before we started the interview how I love Alexandra Stoddard and I would read her books on how to live beautifully together. At that point I started incorporating her ideas into my life. So really God was just raising this path for me. I wasn’t starting over, I was just continuing a journey that He had planned all along for me being an interior designer and later weaving my journalism skills to write my book “Interior Wisdom.” God is hugely and amazingly creative! Yolanda: That’s great. When you mentioned your mom I saw your blog posting of your trip, I think it to was Quebec? Yolanda: She’s beautiful. I could see a lot of her in you. Leah Richardson: She is so much fun! She is a lot more fun than I am! She is very much an extrovert and never meets a stranger. We try to do a mother-daughter trip every three or four years. One year when I was taking her to Italy, she had very few clothes in her suitcase, because she packs her easel, paints and paper. We go and sit in square Piazza wherever we are and she whips out those paints and she sits there and paints and draws and people come up. It doesn’t matter what language they speak, somehow she communicates. She’s just been a very good role model for my life. Yolanda: When I go through the biographies of successful interior designers I always see somebody in their life who either, I guess you could say either genetically or just from the spiritual point of view or somebody who mentors them in their creativity. And that they can look back to and say that in some ways I am carrying on her work and she is an inspiration to me. And I love to see that. And I have a little three year old and she’s a girly girl and I hope to be an inspiration to her. I think she likes colors. She likes different creative activities. She likes mastering things. She might be an interior designer making. Leah Richardson: Yes, something creative maybe. Leah Richardson: Yes, the creative field, because I do think, like my husband said when he sent me marching back off to college at almost thirty, “You know this comes natural to you”. There’s a book out, that many students read, “What color is your parachute?” But before I went back to college to get my design degree, I read the book “Do what you love and then money will come”. I do think if we use the gifts that God has given us, we can make that into a career. And so many times creative people are told “Oh you can’t make any money or a living at that.” But you know God provides all we need. If we will operate in the gifting that He has given us, not only will we find much joy in what we do, but we can absolutely use it as an outlet to make a living, to be able to pay our bills. Yolanda: Yes. You mentioned Alexandra Stoddard. I have a few of her quotes on my site, because she almost began the whole interior design philosophy of designing from “the inside out.” I know there are people who she admired. But I love her books. I love her philosophy about beauty and living a beautiful life. Leah Richardson: Yes, I do too. Follow us (+ Follow button to the right) to get up and coming Part 2 of our four part interview series with Leah.